PricewaterhouseCoopers’ (PwC’s) 4th annual monitoring report on labor conditions on Abu Dhabi’s Saadiyat Island, recently released by the Tourism Development and Investment Company (TDIC) of the United Arab Emirates’ capital, gives a mixed picture of progress and continued concerns. The latter included a June 8 worker fatality, which occurred “as a result of a construction accident” at the Louvre Abu Dhabi‘s project site. Whether for this or other reasons, the Guggenheim Abu Dhabi is still nothing more than “1,400 concrete piles [that] have sat untouched since they were completed in 2011, and a contractor is yet to be selected,” according Nick Leech‘s article on the status of that project, which appeared on Nov. 17 in The National, the English-language Abu Dhabi newspaper. 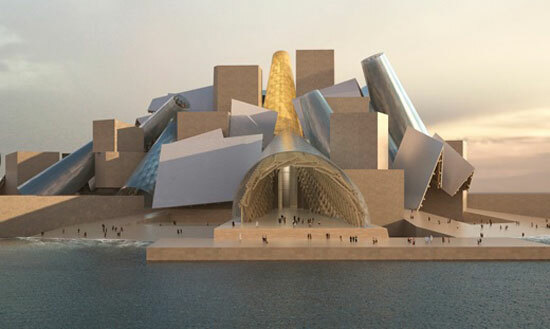 There is no construction on the Guggenheim Abu Dhabi, and TDIC has not yet awarded a contract. We remain fully committed to the project. 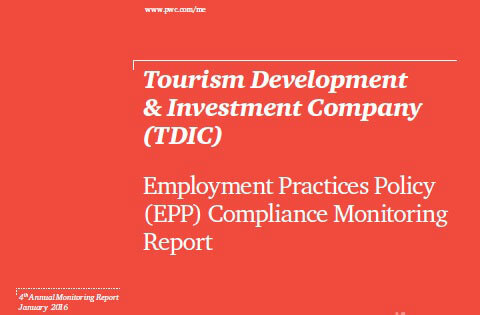 Compliance with TDIC’s Employment Practices Policy has improved from conditions discussed in the previous report, according to PwC’s latest findings: 75% of surveyed residents in the Saadiyat Accommodation Village (SAV) complex said that they were “extremely satisfied” or “satisfied” with the quality of SAV’s housing and facilities. In 2015, of the 880 workers interviewed: 100% are in possession of medical insurance and have access to on-site medical care. 100% are in possession of their passports or had deposited them with employers willingly for safekeeping. 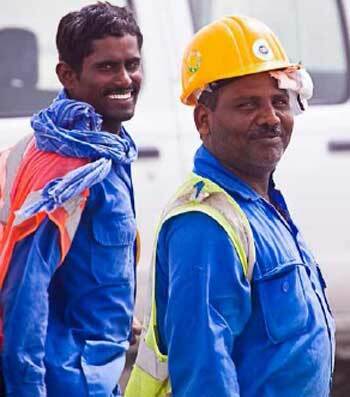 100% of long-term workers employed on Saadiyat projects (defined as those employed for 30 days or longer) are residing in the SAV. Facilities within the SAV now include door-to-door laundry services, daily cleaning of rooms, and enhanced recreational and sporting facilities. 99% of workers had signed a Site Assignment Agreement (SAA) in their native languages providing full details of remuneration and working conditions.